Best Buy letting BlackBerry Tour 9630 go out of stock | BlackBerry Blast! Best Buy stores won't be getting any new stock of the BlackBerry Tour 9630 if the rumors are correct. BGR is reporting that it has information that Best Buy stores will not restock the BlackBerry Tour when they run out. Although there is no official word yet, this likely means that the BlackBerry Tour 2's release is imminent. 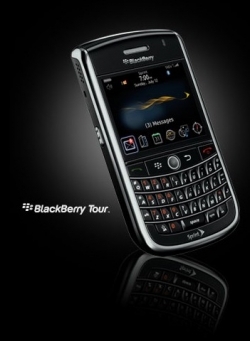 The BlackBerry Tour 2 will be much likc the original Tour, but will feature a trackpad instead of a trackball, and WiFi. Let's hope the new Tour 2 launches soon!